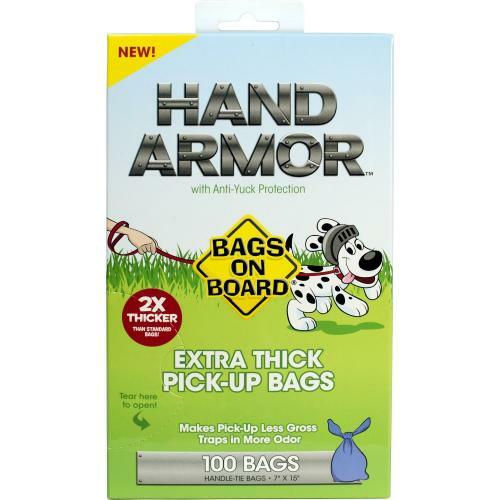 Bags on Board Hand Armor Extra Thick Dog Waste Pick Up Bags make picking up after your pet a walk in the park. These dog waste bags are 2X thicker than standard bags while also trapping in more odour. The sturdy design makes for a dependable yet environmentally friendly tool for the most undesirable of tasks and come with convenient handle ties.